Not one, but two world-class collections will be going under the hammer at Cowan's Auctions in their Historic Firearms and Early Militaria auction on November 3-5. "There are so many unbelievable pieces in both collections." Ben Michel collection will be sold on November 3. Michel is a retired New Jersey attorney, U.S. Army veteran and former special agent in charge of counterintelligence. He is also past president of the New Jersey Antique Weapons Association, as well as a judge at major gun shows in Richmond and Baltimore. In 2007, Michel's collection of Confederate weapons was sold by James D. Julia for a total figure over $1 million. This time around, the specialty is French military arms from the 1700s to the start of World War II. The French regulation arms are grouped into approximately 350 lots consisting of handguns, long arms, edged weapons, headgear and accessories. 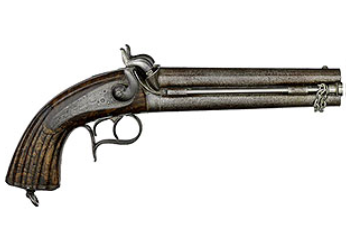 Prime examples include Model 1855 a general staff officer's double-barrel percussion pistol made at Saint-Etienne which is estimated to fetch between $35 000 to $50 000. Intriguing examples of French headgear, including a 1st Empire 3rd Line infantry officer's shako, Model 1812, is estimated at $30 000 to $35 000. 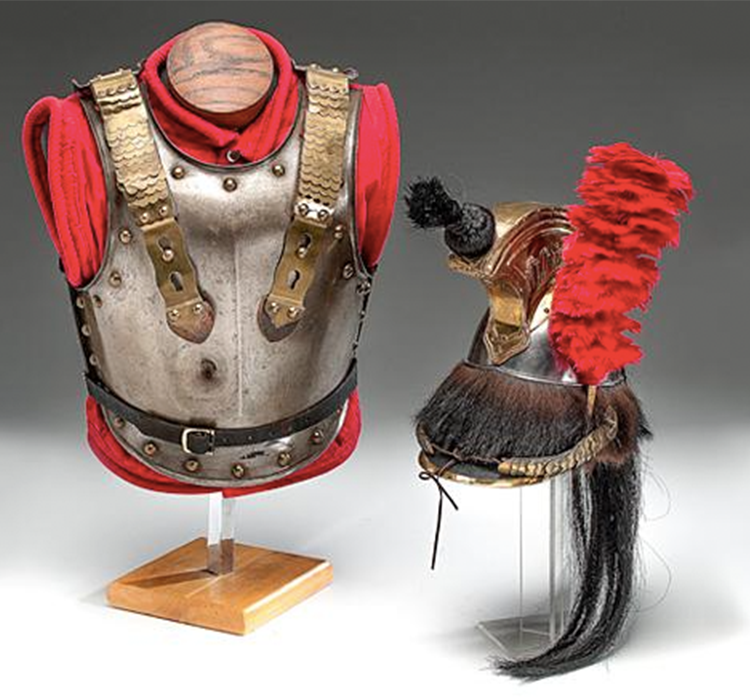 A 1st Empire 2nd Chevau Legers Lanciers of the Imperial Guard enlisted czapska, an important specimen from one of Napoleon's famous guard units is expected to reach $25 000 to$30 000. On November 4, Mel Flanagan's collection will be sold. Flanagan is a World War II Navy veteran who served aboard the U.S.S. Douglas H. Fox, which saw action against the Japanese. Following the war, Flanagan worked in construction in his family's cement business. It was during this time he began collecting firearms, with a keen interest in the blunderbuss. He also sought alarm and trap guns, pepperboxes, sword and knife pistols, knuckle-dusters, derringers and a variety of oddities. His collection gained national attention when he was invited to join The American Society of Arms Collectors in 1996. He is also a former president of the Colorado Gun Collectors Association. Cowan's Lewis said of the collection: "Never has there been this large a collection of those great oddities." 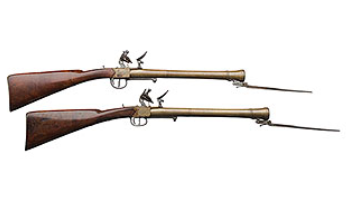 A pair of horseman's flintlock pistols in Flanagan's collection, which are rare due to the fact they are equipped with spring bayonets have an estimate of $7 000 to $14 000. Check out Cowan's on Barnebys here.